8051 microcontrollers are the first-generation microcontrollers that sparked the modern embedded-system era and established the basic concepts for almost all microcontrollers. In the early 1980s, 8051 microcontrollers were first introduced by Intel. Later other manufacturers like Philips (NXP), Atmel (now Microchip), Silicon Labs, Maxim, etc took the 8051 architecture and introduced their variants of 8051s. Today there are hundreds of such companies which still manufactures this old school legendary micro. 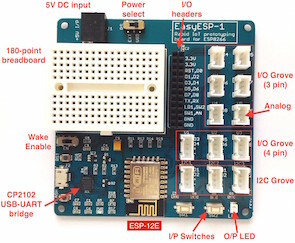 of them have even added more features like ADCs, communication peripherals like SPI and I2C, etc that were not originally incepted or integrated. There are even some manufacturers who produce micros under their naming convention/branding while maintaining the basic architecture. Recently I covered an article about Nuvoton N76E003 here. It is based on such ideas. STC (not to be confused with STMicroelectronics) is a Chinese semiconductor manufacturer that operates in the same way as Nuvoton. STC took the model of 8051 just like other manufacturers and upgraded it to new levels by implementing some vital upgrades, enhancements and additions. It also manufactures standard 8051s which are designed to fit in place of any other 8051s from any manufacturer. At present STC has several different variants of 8051s, ranging from standard 40 pin regular DIP 8051s to tiny 8-pin variants. Some are shown below.